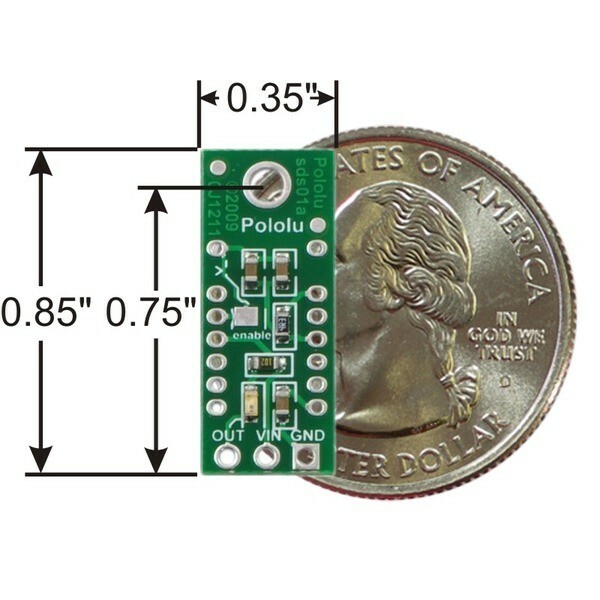 The Pololu GP2Y0D810Z0F 10cm Digital Distance Sensor features Sharp's fast GP2Y0D810 distance sensor mounted onto a carrier board for easy access. This small sensor can detect objects between 2 and 10 cm away and features a quick response with a low current draw. It is a good choice for non-contact object detection. 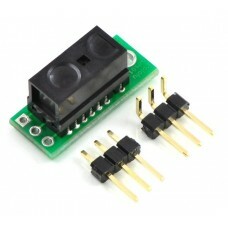 It can be powered from 2.7V up to 6.2V and is compatible with most robot controllers. Connect the (VIN) and (GND) pins to a 2.7-6.2V power supply and the digital output (O) pin to an input on your robot's controller. The board is assembled but the header pins require soldering.